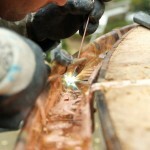 Welding work harbors numerous risks and requires specific precautions. 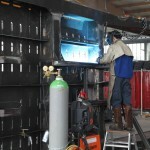 Therefore, the establishment of welding workshops has to be planned carefully. Employers must not only consider economic management, but their focus has to specifically be on ergonomic workstations which meet health and safety requirements. The list of potential hazards and stresses at welding workstations is long: Hazardous substances, fires and explosions, electricity, optical radiation, mechanical hazards and noise can put the welder’s health at risk. 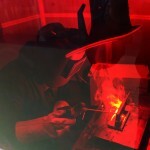 Employers have to observe numerous factors when setting up welding workshops and welding workstations. The Bundesanstalt für Arbeitsschutz und Arbeitsmedizin (Federal Institute for Occupational Safety and Health) has published a manual of ergonomic findings. According to this publication, specialists in safety technology and occupational medicine should already be involved during the planning stages of a welding workshop. The critical design factors are the type and characteristics of the machined workpieces and the welding and cutting procedures used. Welding workshops should be located on ground floor level if at all possible. Ideally, at least one wall is both containment and building outer wall: This helps with aeration and ventilation and facilitates material transport and access to escape routes. The room height should be at least four meters to ensure good ventilation. 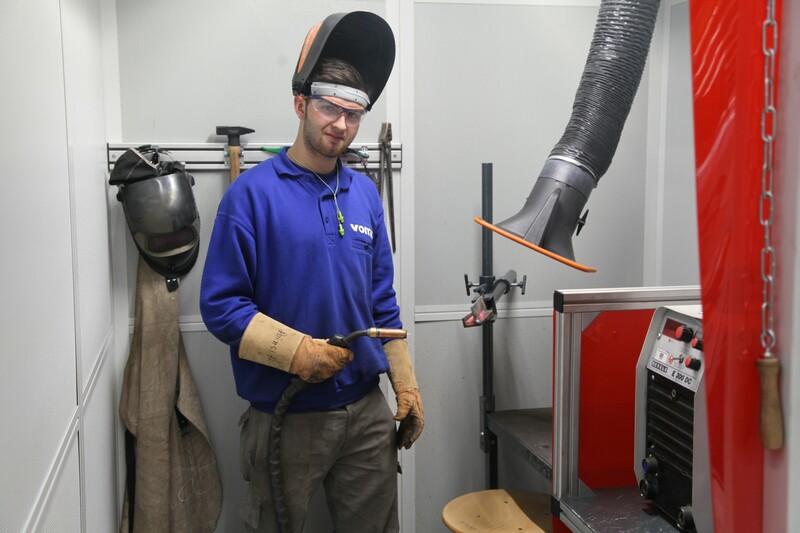 Employers have to use low-emission methods and welding consumables. Hazardous substances have to be extracted at source. Depending on the situation, additional ventilation measures have to be implemented. Employees must receive training, and health and safety check-ups. Welders have to wear accessories for respiratory protection such as force ventilated welding helmets with breathing filters. The employer should also consider the freedom of movement of the welder when setting up welding workstations. In general, each employee requires a movement area of at least 1.50 m². The floor area of welding workstations has to be dimensioned with at least 4 m². If these measures are not enough, then additional back-up room ventilation is also necessary. Welding fumes extractors, which have no detection elements at source, extract the hall air, clean it from welding fumes and then feed it back into the hall. Employers have to comply with additional requirements when using air recirculation: In Germany, the entire hall air requires a fresh air rate of 50 percent. If filtered air is to be recirculated, then filters with the highest available welding fume extraction classes are the top choice. These days, they guarantee an extraction rate of welding fumes of more than 99 percent. New generation systems also filter ultra fine particles from the air and extract them again to a large extent.